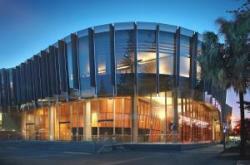 Full Description: The Glasshouse is the premier performing arts, conference and entertainment centre in regional NSW, located in the thriving CBD hub of picturesque Port Macquarie, on the mid north coast of NSW. Home to the Glasshouse Regional Gallery. Visitor Information Centre. Interactive heritage displays. Glasshouse Shop. GLASSHOUSE SPROUTS The Glasshouse run weekend and holiday fun art activities for kids every school holidays and on the second Saturday of the month from 11am. These are designed for ages from 4 to 9 years. TICKETS: Visit the Glasshouse website to see What's On and book your tickets. GLASSHOUSE OPENING HOURS Visitor Information Centre, Booking Office and Customer Service. Monday to Friday 9:00am - 5:30pmSaturday and Sunday 9:00am - 4:00pmPublic Holidays 9:00am - 4:00pmGlasshouse Regional Gallery Monday CLOSED Tuesday to Friday 10:00am - 5:00pm Saturday and Sunday 10:00am - 4:00pm Extended opening hours for special programs as advertised.For Glasshouse Customer Service please call (02) 6581 8888 or email boxoffice@glasshouse.org.auThe Glasshouse Encore Theatre Bar is a premier location to enjoy a drink before a show. Encore Theatre Bar is open 1 hour before performance and during intermissions.